Thank you so much, Morgan! We are so thankful that you’ve shared your artistic talents with us! Both rooms are so amazing and enjoyable in completely different ways. 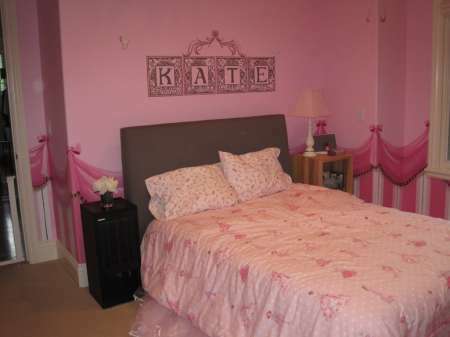 Kate is absolutely joyful when you ask her about her room. She loves bringing our guests to see her princess room and the nursery. She is so proud. If you ever want to swing by to take some photos of Kate’s room, you are absolutely welcome. View detailed photos of the princess mural Morgan painted for Joanna's daughter.